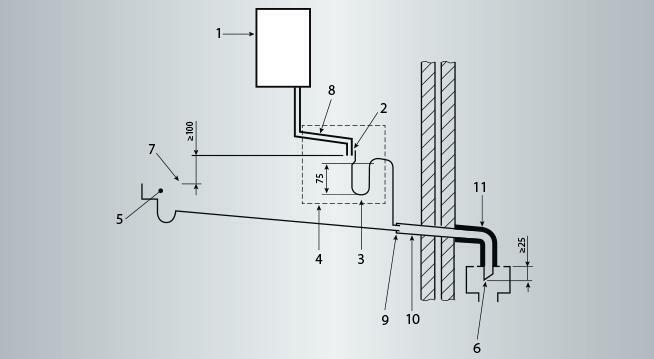 Installation is faster, simpler and more cost-effective as the pressure release valve (PRV) and condensate connection are combined and long runs of additional piping are no longer required. Efficient, compact, quiet and powerful, the Vitodens 100-W gas condensing boiler is the most popular solution for smaller and well insulated homes. Which? Best Buy, Vitodens 100-W 30 kW Combi. The Vitodens 200-W is a powerful, flexible and easy to maintain wall mounted gas condensing boiler that is perfect for larger detached and semi-detached homes. Which? Best Buy, Vitodens 200-W 35 kW System. Rapid, reliable and compact, the Vitodens 111-W is a high performance wall mounted, storage boiler for family homes with a high demand for hot water. Which? Best Buy, Vitodens 111-W 35 kW Storage Combi.